Pauline Baynes’s jewel-like illustrations lushly depict both this final voyage and scenes from The Hobbit, as Bilbo remembers his first journey while he prepares for his last. 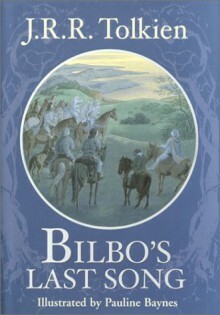 A very sweet farewell to Middle-Earth, this poem, written from Bilbo's perspective, is worth reading. The illustrations by Pauline Bayne, which also reflect on Bilbo's adventures in The Hobbit, add to the atmosphere of the very brief work.